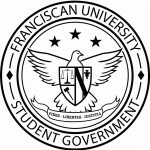 Students for Life received money from Franciscan University Student Government to buy video cameras during Student Government’s April 11 business meeting. According to Spring Bill 43, $1,000 would be reallocated from the club’s previous budget for the purchase of three handheld video cameras. The money had been originally allocated to fund a talk by the Dominican Sisters of Nashville the bill said, but the sisters were unable to come. The money will be used to buy the cameras to record speakers that the club brings in for future events, “thus increasing the value of future allocations,” the bill said. Student Government also allocated $50 to the Veritas Society. According to the bill, the money will be used to purchase food and drinks for the club’s April 22 debate on traditional marriage roles. Veritas Society president Clement Harold said that the club planned to advertise the event thorough Facebook and that they expect about 50 people to attend. Student Government will next meet April 25 at 11 a.m. in the St. Leo Room.